It’s almost time for one of our favorite days of the year: Earth Day! Since its inception in 1970, Earth Day has been a way for people to show how much they care about the environment and keeping our earth green! 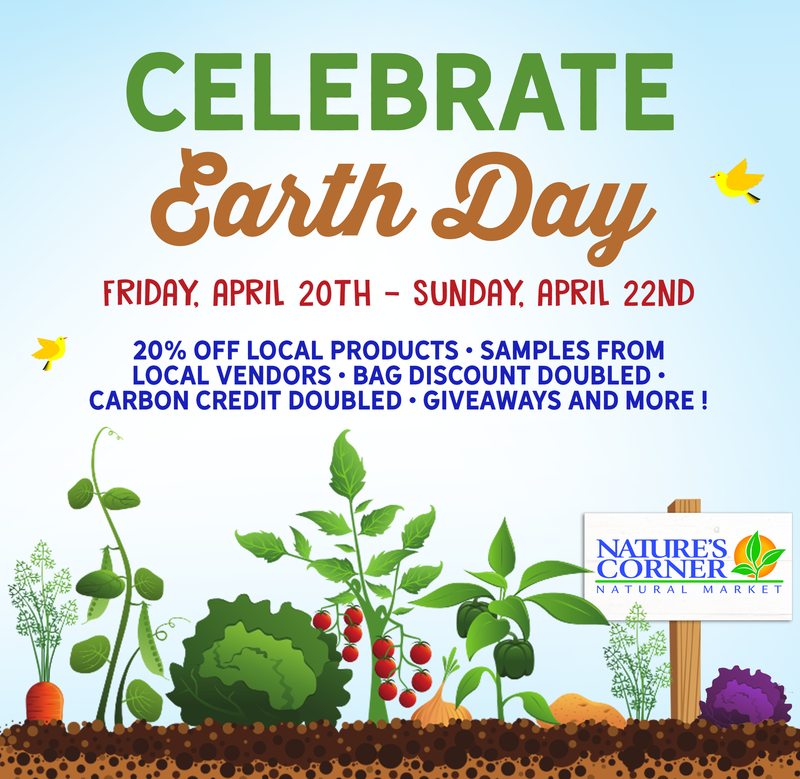 Join us here at Nature’s Corner from Friday, April 20th – Sunday, April 22nd for in-store specials and promotions! We’re celebrating with free samples from local vendors, giveaways, special discounts and more. Earth Day is also a great day to shop at local, small businesses! Shopping local is great for community building, the local economy and of course, the environment! Locally owned businesses require less transportation and generally set up shop in town or city centers as opposed to developing on the fringe. This generally means contributing less to congestion, habitat loss and pollution.